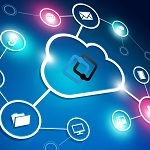 The National Institute of Standards and Technology issued its updated guidance on mobile application vetting and security that allows organizations to explore new resources to secure apps. On Friday the revised 2015 Vetting the Security of Mobile Applications document was published, assisting organizations with assessment of mobile applications for cybersecurity vulnerabilities. The National Institute of Standards and Technology released new direct hiring authorities to allow federal hiring managers to skip some steps in the process to employ new information technology managers, general engineers and general physical scientists. “The expanded direct-hire authority will allow NIST to simplify and expedite hiring for managers in mission critical occupations,” according to a notice issued Thursday. 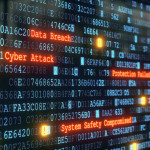 Chip Fulghum, deputy undersecretary for management at the Department of Homeland Security, said during a hearing on Capitol Hill that new coding frameworks delayed the agency’s efforts to assign two-digit codes for classifying cybersecurity positions, FCW reported Wednesday. Ron Ross, a computer scientist and a National Institute of Standards and Technology fellow, told Fifth Domain in an interview published on Friday that the potential role of artificial intelligence in improving cybersecurity depends on the development of a trusted platform. “Any AI program that you’re running at the application level is totally going to be bogus information,” he said. 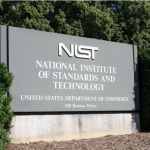 The National Institute of Standards and Technology plans to increase coordination with agencies and industry on the second round evaluations of a project aimed at developing encryption standards to protect federal systems from threats of quantum computing, FCW reported Wednesday. The National Institute of Standards and Technology released its revised guidelines on federal email security in an effort to provide agencies with updates on cyber security. The document helps agencies reduce the risk of email being used as an attack vector and to avoid the risk of content leaks to unauthorized parties. The Senate has passed a bill to create a government-wide council that would establish regulations for federal supply chain risk management, FCW.com reported Wednesday.